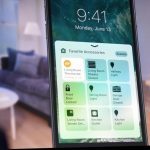 It is clear from this year’s WWDC that Apple envisions a new era beyond the traditional apps-in-a-grid-on-your-home-screen model. iOS 10 is more of a revolutionary iteration to the Apple ecosystem and vision. There were many initiatives uncovered that gives us clues to the future of Apple.